There are few trends in food that are not well represented in Naples. Restaurants offer culinary creations for every palate, from Seafood and Steakhouse to Sushi and Pizza. The upscale shops of 5th Avenue, 3rd Street South and Waterside Shops are world famous. Shop until you drop at some of the finest designer boutiques, jewelry and department stores. The Florida panther is a magnificent animal that sits precariously high on the “most threatened” list of endangered species. Few species of animals share the dire threat of extinction as Florida’s official state mammal. Whether you are newly in love with hearts ablaze, or re-igniting old flames after years as a couple, Naples's warm weather and tropical beauty provide the spark to fire up the romance in your life. South Florida is one of the most diverse and fascinating locations in the whole USA for bird watching. As a migratory intersection and with its variety of eco-systems, south Florida hosts many hundreds of bird species. 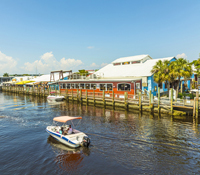 One of the most enticing aspects of Florida’s Paradise Coast is its tropical feel. Southwest Florida is rich in its biodiversity, and the tropical “flora” that inspired Ponce de Leon to give our state its name (Land of Flowers). Florida is home to five species of endangered sea turtles. The Naples area beaches are a summer nesting spot and special efforts are taken to assure the nests are protected from harm. Looking for a Naples Dentists, Dermatologists, an Optometrists, Plastic Surgeon or Family Doctor, you will find it here. Browse our comprehensive list of Naples Medical Specialists. 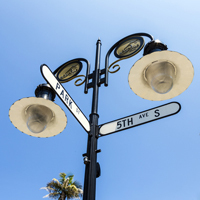 Get legal advice from local attorneys in Naples Florida. Looking for a Personal Injury, Real Estate, Divorce or Immigration Attorney? Start your search for a Naples attorney here. Naples beaches and the Paradise Coast are synonymous with powdery sand, stunning sunsets, and serene waters of the Gulf of Mexico. For the avid angler, all of that adds up to exhilarating fishing and delicious dining. Southwest Florida is home to a variety of birds of prey, including our national symbol, the Bald eagle. Raptors are characterized by keen vision that allows them to detect prey during flight and powerful talons and beaks. The Everglades “system” is a vast, yet fragile, interconnected eco-system of rivers, lakes, estuaries, forests, hammocks and prairies that fluctuates seasonally between flooding from rainfall in the wet season and fires in dry times.